A three-judge bench of the Supreme Court is set to consider whether the Hindu Succession (Amendment) Act, 2005, which gave equal right to daughters in ancestral property, has a retrospective effect. The Delhi High Court while disposing an appeal, had granted certificate of fitness to appeal under Articles 133(1) (a) and 134A of the Constitution of India observing there are conflicting decisions of the apex court in this regard. In Prakash V. Phulavati (2015), the Supreme Court bench comprising Justice Anil R. Dave and Justice A.K. Goel held that the rights under the amendment are applicable to living daughters of living coparceners as on 9-9-2005, irrespective of when such daughters are born. This position was reiterated by the bench of Justice R.K. Agrawal and Justice A.M. Sapre in Mangammal vs. T.B. Raju (2018). In the case of Danamma @ Suman Surpur vs. Amar (2018), the bench comprising of Justice A.K. Sikri and Justice Ashok Bhushan had held that the share of the father who died in 2001 would also devolve upon his two daughters who would be entitled to share in the property. “Since the matter is to be heard by the Larger Bench i.e. 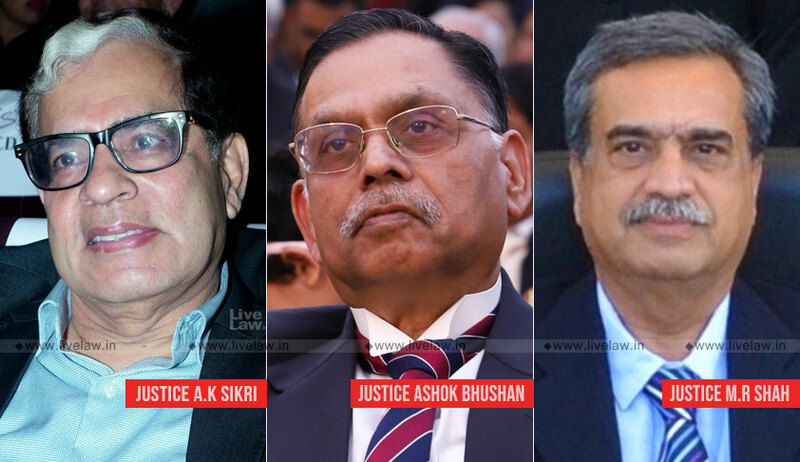 three Judge Bench and this Bench is comprising of three Judges, we can hear the matter finally,” the bench comprising Justice AK Sikri, Justice Ashok Bhushan and Justice MR Shah observed and posted it for hearing on 5th December. The Delhi High Court had followed the judgment in Prakash V. Phulavati and held, in facts of this case, that, the amendments of 2005 do not benefit the plaintiff as her father passed away on 11th December 1999. However, while granting a certificate to appeal, it said decisions of the Supreme Court in Phulavati (supra), Danamma (supra) and Mangammal (supra) raise important questions of law of general public importance as to the rights of female coparceners and their rights.